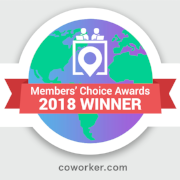 Over the last few years, the popularity of coworking has skyrocketed, with freelancers, entrepreneurs, startups and contractors all around the world coming together to escape the isolation of a work-life away from the standard nine-to-five routine. The question is, what makes coworking such a great opportunity for today's non-traditional worker? Last week, I went to Launch22's Design Thinking session on their Incubator Programme. This session came at a really good time for me and my beauty startup. At the moment, me and my cofounder are trying to figure out the business problem/question: is there even a demand for Asian beauty products in the UK? I learnt that the design thinking process can be used to solve this problem.